Most online merchants market their frames as being heavy and made of alloys. In many cases, the heavy content” may be a result of dangerous lead in these frames. Some manufacturers issue a warning on their license plate frame packaging which reads: “ This product contains chemicals, including lead, known … to cause cancer, birth defects or other reproductive harm. 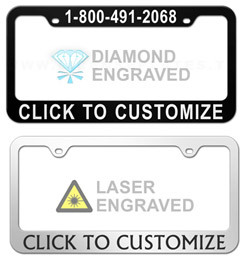 Wash hands after handling.” Licenseplates.tv’s Automoda Brand Sleek Design license plate frames are 100% Lead-Free, 100% Mercury-Free and 100% Cadmium-Free and there is no need to wash hands after handling and is also Eco Friendly. 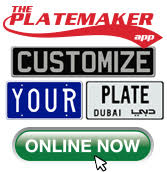 Licenseplates.tv’s stainless steel license plate frames are much stronger and longer lasting than so-called “heavy frames” and are guaranteed to never rust or corrode. In an era where automobile manufacturers are seeking new ways to reduce the weight of motor vehicles, online license plate merchants and manufacturers are advertising heavy frames. The backward concept of heavy-frames adds weight to vehicles and may also contain harmful metals known to cause birth defects, so there is a possibility of reduction in a vehicle’s fuel economy and increased chance of harmful health effects to purchasers of heavy license plate frames. 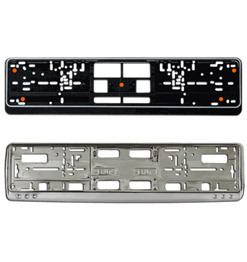 Licenseplates.tv engineered our line of Automoda Brand Sleek design license plate frames using aerospace quality stainless steel for durability and reduced weight with virtually a zero chance of our frames being contaminated with harmful elements like lead, mercury and cadmium. 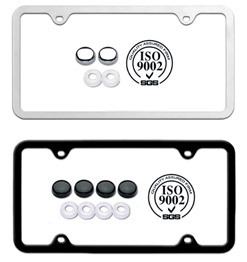 Our ISO-9002 engineering standards our customers will receive a top quality license plate frame free of defects or harmful heavy metals. 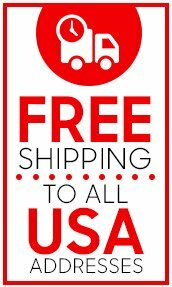 With free shipping to all USA zip codes, screws and coder matching screw-cap covers, Licenseplates.tv license plate frames are the best value on the internet.